It’s not a secret that art, especially modern art, is a rather expensive business. However, running a fine art gallery can be even more so. 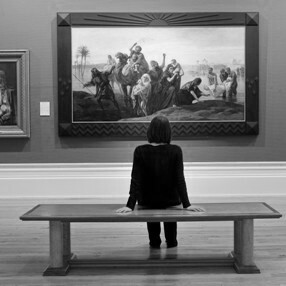 Here are two proven tips for gallery owners to help save you money or even bring more in! 1. Diversify your services. Art collectors prefer doing business with galleries that offer a diversity of services. For example, if your customer asks for a special fine art piece, try to find it and charge a finder’s fee. You may also join forces with a professional company specializing in art collection management and offer this service to your own clients. Besides, since some art collectors find it very helpful to acquire artwork and have an opportunity to appraise it at the same place, you can offer additional appraisal services to your clients. In other words, try to expand your services as much as possible. 2. Cut your shipping costs. Artwork transportation and handling costs may be rather big expenses for a small gallery. The best solution is to cooperate with one of the reliable art shipping companies, offering high-quality artwork transportation, packing, and custom crating services at competitive prices. Fine Art Shippers can be a good choice in such a case. For instance, if your client buys a large sculpture or an expensive painting that requires professional handling, we would be happy to help! Our fine art shipping services are very convenient and affordable, and we are always ready to establish new business relationships!